Ho Ho Holy cow, it's the last month of the MMMV Turns 10 giveaways! Fun stuff will be first, but please take a minute to read the rest below the giveaway details. We have three stockings to give away this month, each filled with Minimates and other goodies. 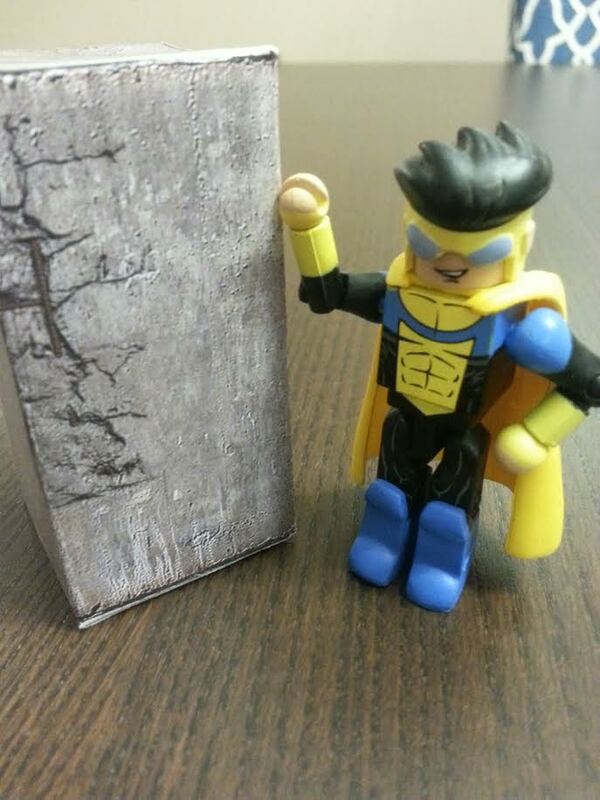 All you have to do to enter for one of these stockings is to post your favorite Minimate. That's all. Which specific, (which wave is it from? 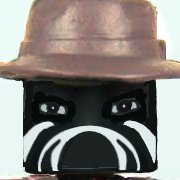 ), Minimate do you love the most? 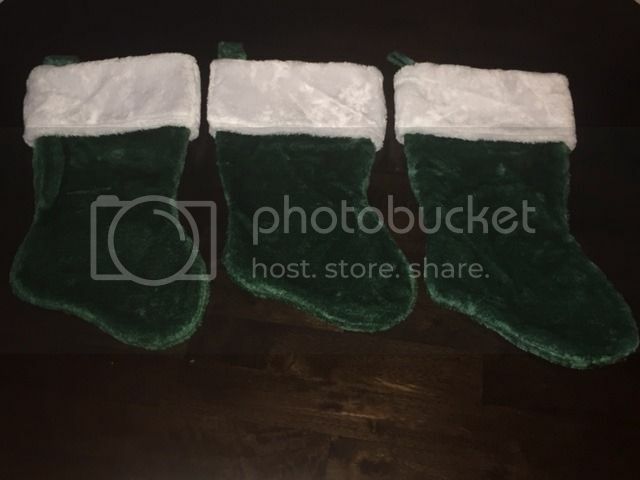 Just let us know and you'll be eligible to win one of the stockings. The usual rules of randomness will apply to all that enter. Names will be randomized and drawn to determine the winners. This giveaway is open until Wednesday, December 15 at midnight EST. We will announce the winners soon after. But wait, there more! I have it on good authority that Santa will be looking through the Wants lists in the trade thread. 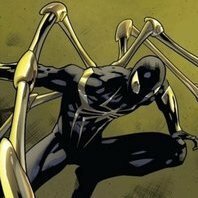 Now, Santa doesn't have a bag full of Gold Spideys, but he will be looking for people with *UPDATED* trade lists to give gifts to. If your trade list is updated and dated 12/4/16 or later, then you just might find Santa sending you something. The deadline for the stockings will also be the deadline for Santa's trade list searching. Remember, it has to be updated with a date 12/4/16 or later, and will be looked at at the same time the stockings deadline hits, (12/15/16 @ midnight EST). Ok, that's the giveaway list! Now, I have a favor to ask everyone. With it being the holiday season, there are a lot of people that need help in one way or another. One of my personal favorite charities is Toys for Tots. I've talked about it here before, but Christmas can be a very stressful time for some families and parents. When you don't have the means to provide toys for your children, or daily necessities for that matter, Christmas is just one more burden. But Toys for Tots can help out with this very specific need. I'm asking anyone here that is able to please donate to Toys for Tots. Clearing out old Minimates is always a nice way to go, but anything from baby items to toys for older kids can always be used. Or, if you don't feel like Toys for Tots is the right charity for you, please donate to any organization that helps out people that could use some help. It doesn't matter if it's one dollar or one can of food or one hour of your time that has been donated. Intent is way more important than amount. Thanks to everyone that has participated in the giveaways this year and good luck! 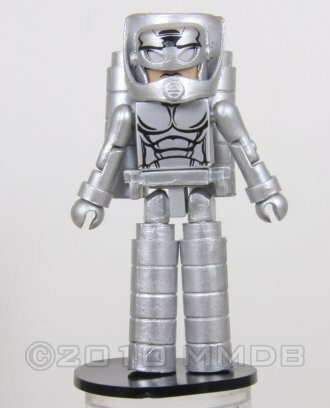 my favorite minimate in my collection is this beautiful custom I had commissioned by brobot. 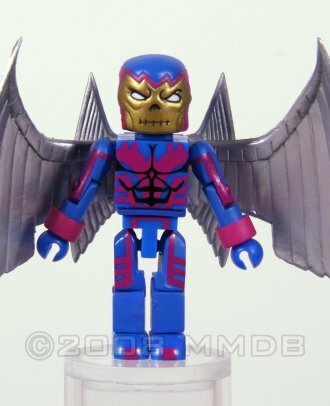 I didn't particularly care for the storyline, as it was evident that Marvel was just killing time until Secret Wars, but still, I loved the armor's look, and the minimate is a perfect translation. The glossy colors, the overly detailed tampos with little sulpting to capture the slimmer nature of the Endo-Sym armor, plus, that tampo, make it an excellent figure. Mine's closed helmet got destroyed and I've been trying to replace it since, but even with the "face-mask", it's one hell of a figure. As for the "Toys for Tots" charity I won't be able to participate due to the nature of the donations (overseas shipping and all, plus, I've already given the majority of my old toy collection), but I'll make sure to add some more to the annual charity I give to (there's a group here called "The Child's Smile", which deals with abused, orphan or even just sick children, but the foundation has hit hard times recently) in honor of this. Thanks for a great year full of giveaways! 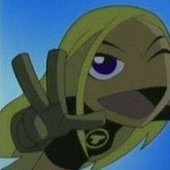 *Runs off to post a Wants/Haves list. For the Toys for Tots, I had purchased 2 electro/spiderman to donate in hopes that my Walgreens would restock with wave 3 and they did so win-win. 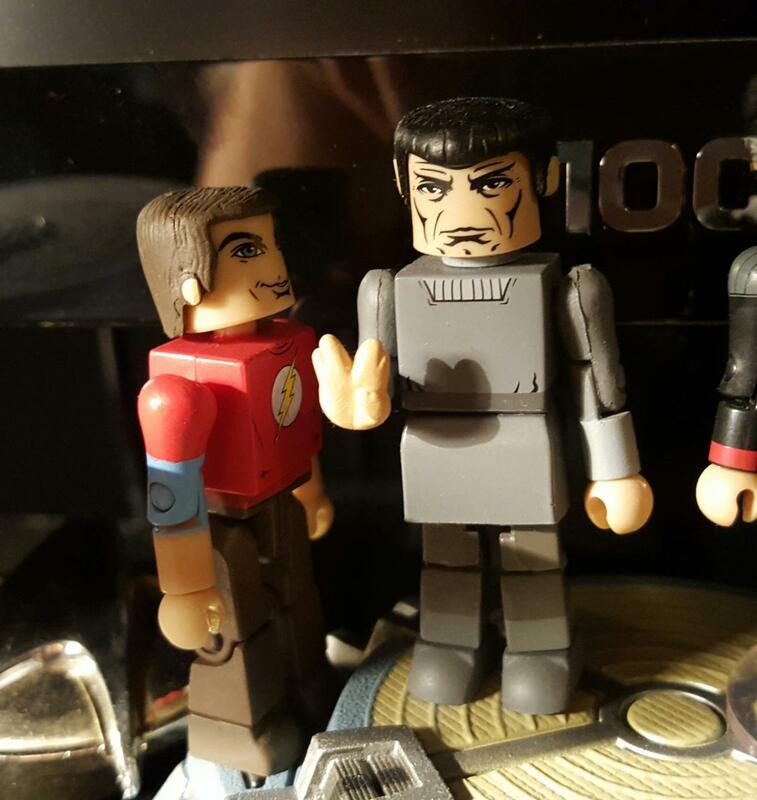 I really like all my Star Trek MiniMates. However, my ultimate favorite is Scotty from Series 1 from August 2007. 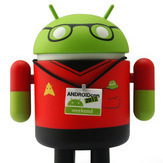 I have made a great deal of the Star Trek Universe in MiniMate form. I would have to add that I love the original Scotty with the custom Mirror, Mirror Scotty and the Dress Uniform Scotty both coming in second place. 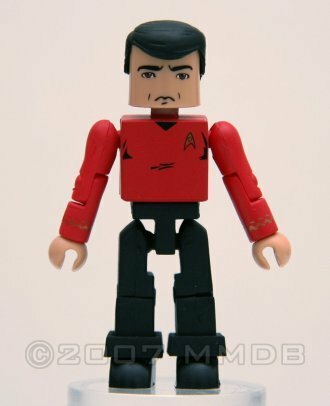 The Three Inch Star Trek MiniMates got me started in the collecting of MiniMates and I loved the series, so when it was cancelled then reborn in the two inch form I was surprised but loved it all the same. I generally purchase MiniMates at my local TRU that are on clearance throughout the year and donate them to Toys for Tots which is a cause I support every year. I even shop for the local branch every year when they need assistance to get toys with funds donated to them. Great organization and lots of joy to know I am helping children get toys for Christmas. Thanks for organising all of this! 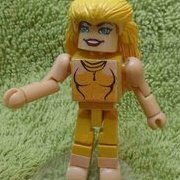 My reasons for liking this minimate are very simple. It's a perfectly executed version of my favourite comic book character from my favourite era of comics, and he wasn't hard or expensive to obtain. 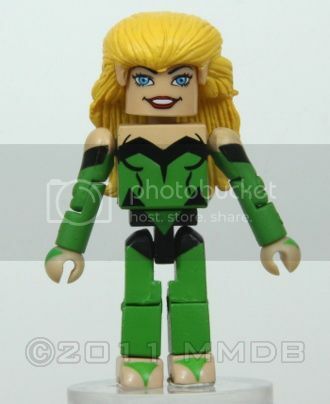 A few runners-up would be the same wave's Storm, wave 62's AXIS Apocalypse, Best Of 3's Hawkeye, and The Incredible Hulk Through the Ages' Joe Fixit Hulk. On a completely unrelated note, can anyone explain why I don't seem to have the "Source" button, and how to set up a trade list without one? 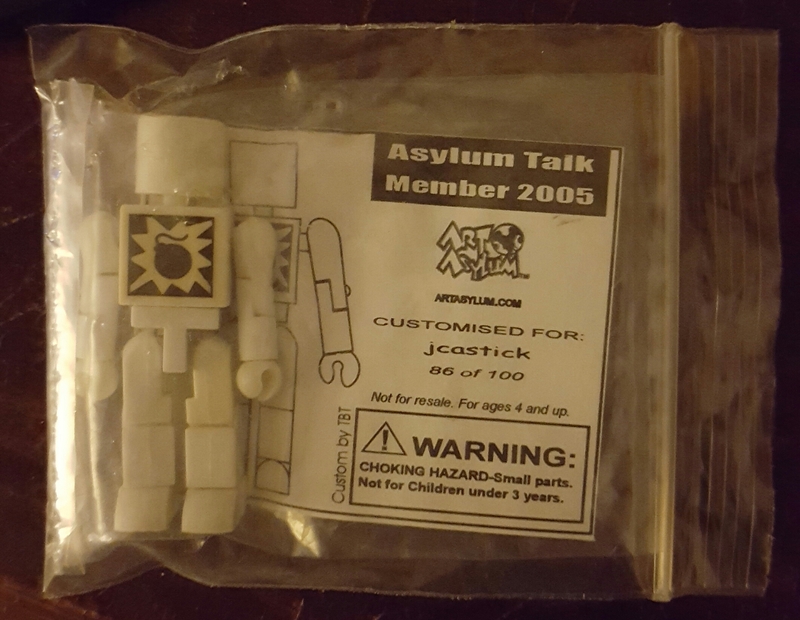 Out of every single minimate that I have purchased, gotten as a gift or have even found randomly, this one will always have a special place in my collection. Back in the early days of our community, and even today, this place has always felt like a second home for this hobby. When I received this mate back in 2005, it really solidified the fact that the community and everyone here, were people and a place I will always want to come back to. So many to choose from. I would have to go with this from what I currently own and how it all started everything for me. So thanks DST for taking a chance on an Image property. I've been hooked and probably have over 100 pieces now. I added loki's cape to Invincible's Mark Grayson. And for the charity stuff, we've been doing the food bank thing (church drop offs). I wouldn't know what to get kids nowadays, but I'll look around my area and see if I can donate some of my extra funko pops. 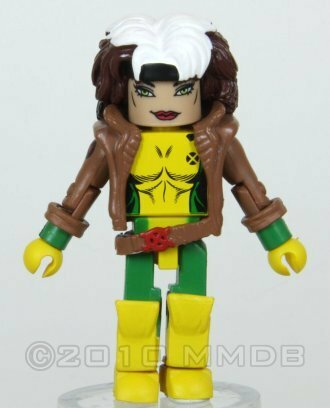 Gambit wave 28. 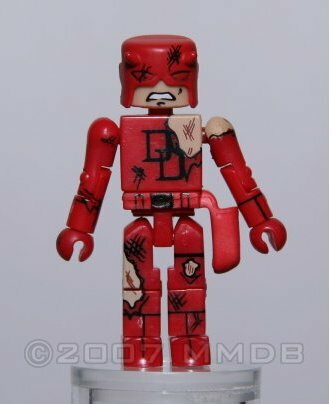 I have never been more excited for a minimate! My favorite character and probably my favorite Spider-Man costume - Ben Reilly Wave 10. As for charity, my family partakes in the Adopt-a-Child every year. The program is set up through out Church and it's fun to pick what gifts to give each kid based on their interests. 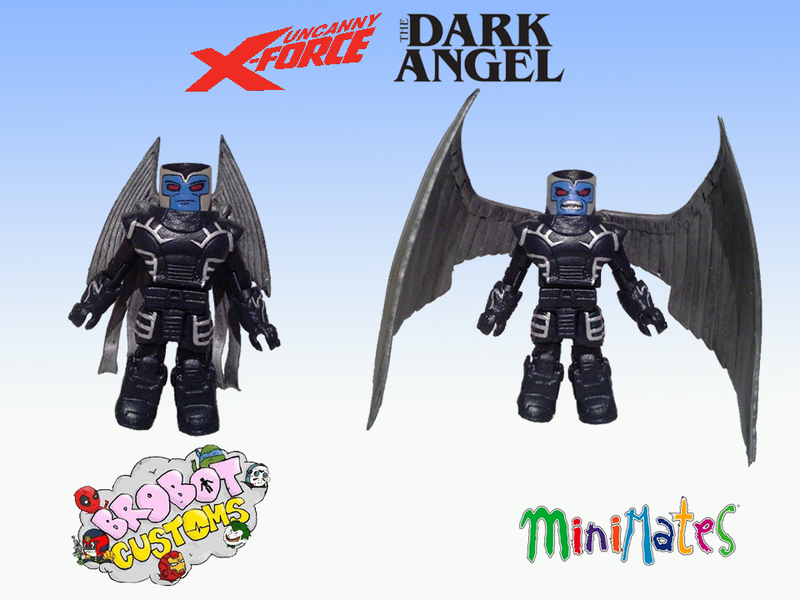 Hmmm.....Right now, I'd have to go with Mirage Mikey (B&W). The simplicity with the colors and deco's detail just really appeal to me. Also the spinning 'chuk pieces are awesome! 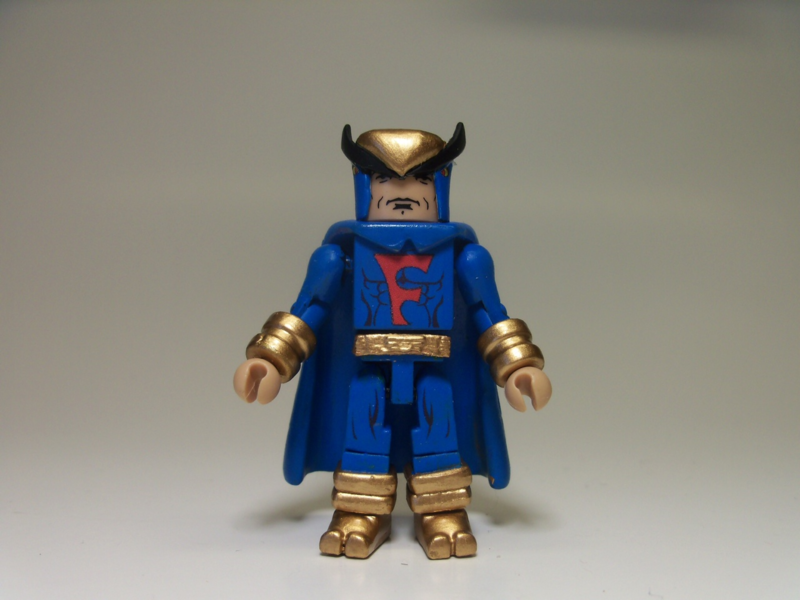 Favorite Minimate? This guy, without a doubt. Custom Ka D'Argo from Farscape, received as part of my Birthday Elephantron gift in 2015. As for Toys for Tots and charity giving, we give throughout the year to a few charities that are near and dear to us but always try to do a little extra at the holidays. A friend had a great idea last year. She wanted to pay off some layaway stuff for random people and eventually found herself at TRU (one of the few places that still does layaway). She spoke to the manager and anonymously paid off the layaway items for a few families. I think we'll try to do that this year as well. As for Charity, My wife and I donate to St. Jude's every year, as well as donating each year to local families around the holidays who are in need. Also, my Masonic Lodge holds Charity events throughout the year. we also have a partnership with Vest-a-cop (raising money for body armor for local police) and toys for Tots with the local Marine Corps Reserve unit. I want to give a shout out to my son (who is in 2nd grade) , who this year grabbed $20 out of his money jar to donate to a family that his school is raising money for. They lost everything in a house fire, and he told me those kids need it more than him, and that giving to charity makes you a good citizen... So proud of that kid! We do Adopt-A-Child through Salvation Army where I work each year. It's nice because they give us specific interests for each kid (usually two per year) and we collect a whole bunch of loot. The kids in the program have to be referred to it by clinicians so without our help they likely wouldn't receive anything for Christmas. Stilt Man. Then, now, forever. He checks off all the boxes for me. 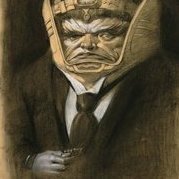 Lower tier villain. Never made elsewhere. Goofy gimmick translated perfectly to toy form. Gets better the more of him you buy. 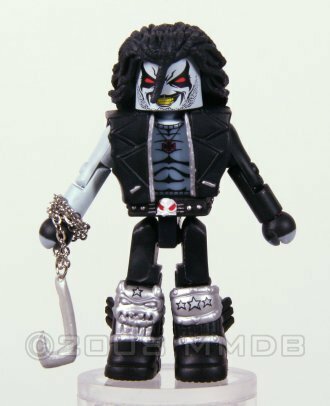 My favorite minimate is Lobo, from DC Minimates Series 7. He's the Main Man! As for the charity, since I live in Brazil I help institutions over here. The last donation went to an asylum house where I and my group of cyclists donate food and essential items. By the way, this is the best forum that exists today, so much that is the only one that I participate. Congrats for you all! 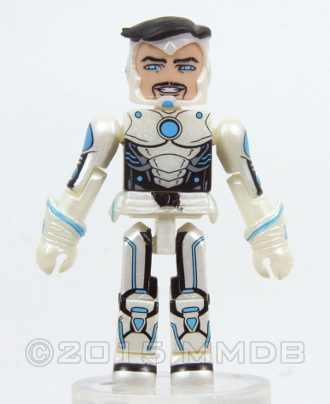 My favorite official Minimate has to be the Multiverse 'Blank' from C2E2. Coolest promo I own ever! I usually give to Salvation Army. We had a family friend who rang bells for them for 50 years so it is near to my heart. This guy started it for me. 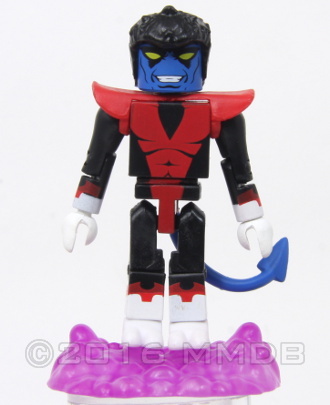 (In case the link doesn't work it's the FYE Scarlet Spider exclusive). It was the first step into my mini-addiction and I have no regrets. An update would be cool but honestly I think it holds up pretty well. It'll be weird to see how he looks next to the upcoming Kaine I'm super excited as well! My school was collecting toys for tots and I put some mates in their! Rep-ing the brand for a good cause! ? We do a Toys for Tots drive at my job & I also go pull a "mitten" on the Giving Tree at the local High School (the mittens have 1 item listed that a teen would like for Christmas - you buy the gift, wrap it & bring it back to the HS so they can give it to the teen to unwrap on Christmas morning). Sometimes people seem to forget that teens are still kids & appreciate getting something for Christmas -- this year I picked up 2 gifts for them. Good luck to everyone & I hope you all get something AMAZING for your awesome-ness!! 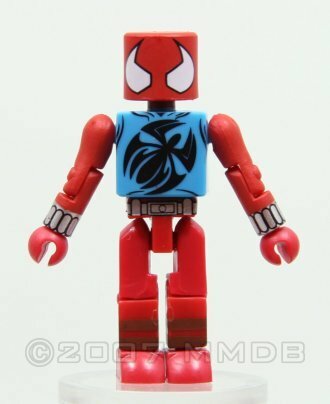 I have to go old school for my favorite minimate, classic red and blue Spider-Man from wave 2. 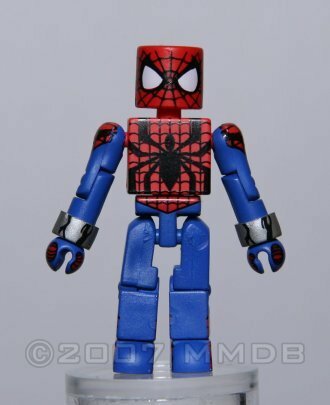 I like that his webs wrap around his whole figure and he was my first minimate. As for charity, I am donating funds to the Salvation Army and also getting a few toys together for Toys for Tots right now. 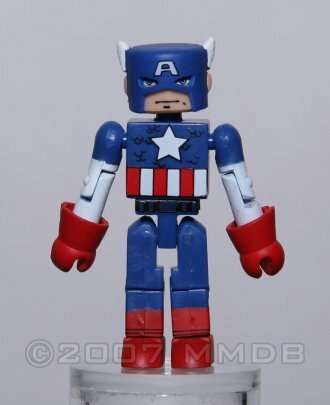 My favorite minimate is still wave 2 Spider-man, but honestly wave 5 Captain America is tied. Classic characters, done right the first time. Our Christmas charity this year is helping kids overseas by donating shoeboxes (plastic tubs really) filled with toys and useful items that they need. In the past I have donated to a local toy gathering for needful kids, once giving my whole 1990s boxed Star Wars collection.